This collaborative project between Blue’s ArtHouse and our long time customer, Trotter Photo, was just completed last week. 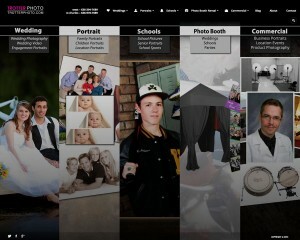 Trotter Photo’s artist designed this site and Blue’s ArtHouse put everything together. Trotter Photo is a well known professional photography service in St. Louis, MO specializing in journalistic style, candid and traditional wedding photography.